Gregg Kowalsky’s music is a product of experiences around the globe. Raised in South Florida, he worked at a record label in New York City, made and witnessed music in Madrid and Barcelona, studied composition in Oakland, and taught sound design in Los Angeles. Over two decades he has composed pieces for large ensembles, film soundtracks, dance performances, and site-specific installations. His work probes the power of electro-acoustic phenomena while simultaneously creating evocative, mesmerizing songs. Kowalsky’s recording career began in the Bay Area, where he studied at Mills College with legendary experimental composers such as Fred Frith and Pauline Oliveros. 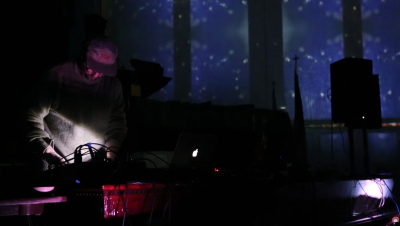 Receiving an MFA in Electronic Music and Recording Media, he devised methods of scoring music electronically for large groups of classically-trained musicians. He based his early compositions on multiple note loops tuned to each other, conducting players with hand signals and numerical cues. As a solo artist, Kowalsky first recorded and performed as Osso Bucco, then switched to his own name for his first album, Through the Cardial Window in 2006. It combined diverse electronic and acoustic sources – including ensemble pieces he wrote and recorded at Mills – to create highly-textured music. In 2007 he released a recording of an original ensemble composition, Tendrils in Vigne, featuring over 20 musicians including Frith and Kowalsky’s future collaborator Marielle Jakobsons. During the 00s, Kowalsky gravitated toward installation work, exploring the potential of specific acoustic spaces. In one series, “Tape Chants”, he placed cassette players around a room, running tape loops tuned to sine waves. 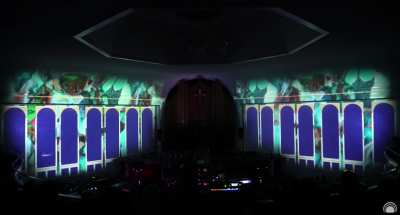 As the piece progressed, he adjusted the volume on each player to create a different sonic experience for each audience member, depending on where they stood. He performed this piece in many different venues, which led to a number of live releases as well as his second official solo album, Tape Chants (2009). Throughout his time in Oakland, Kowalsky continued to perform around the world, playing everywhere from Seattle to Cologne to Mexico City. His travels have resulted in a handful of live releases, such as 2011’s Battery Townsley, recorded in a World War II bunker north of San Francisco, and Movements in Marble and Stone, comprising shows in SF and NYC in collaboration with lute-player Josef Van Wissem. Into the 2010s, Kowalsky concentrated on Date Palms, his duo with multi-instrumentalist Marielle Jakobsons. The pair released three albums of hypnotic ambience, including 2011’s Honey Devash on Mexican Summer. Moving to Los Angeles in 2013, Kowalsky landed a job teaching sound design and post-production at L.A. Film School, and refocused on solo work. 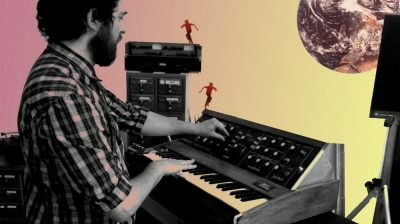 He spent the past three years editing analog synth recordings he had made in Oakland before moving, turning them into a bright, blissful new album, L’Orange, L’Orange. 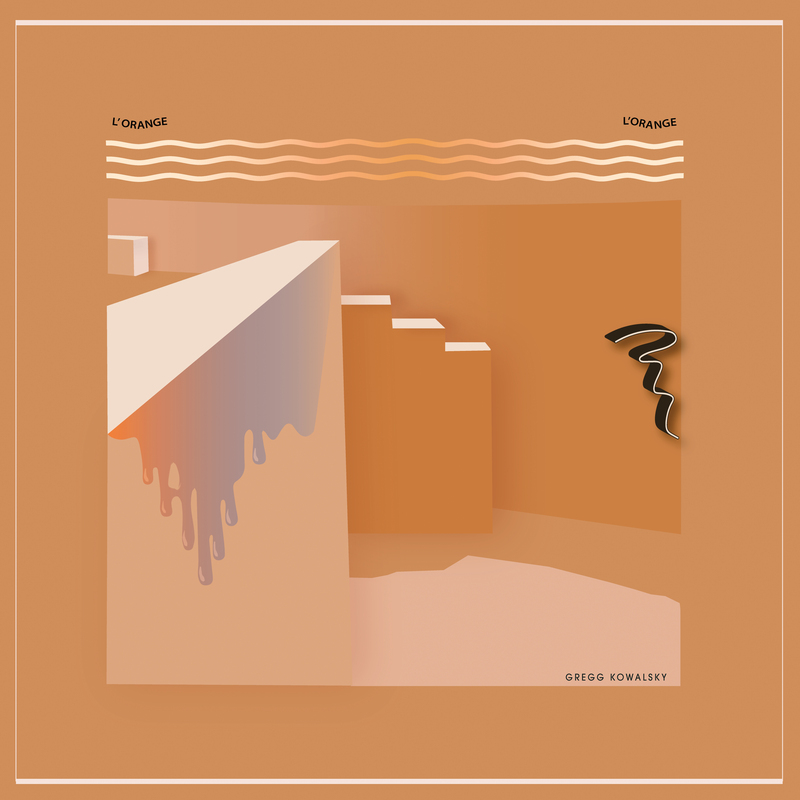 Intended as an extension of his earlier solo albums, the record reflects both Kowalsky’s sunny present in Los Angeles and his formative past in Miami, evoking vivid colors and dense atmospheres through welcoming, engaging songs. It’s another fascinating step in Kowalsky’s musical journey, as he continues to build on his past and expand his future.